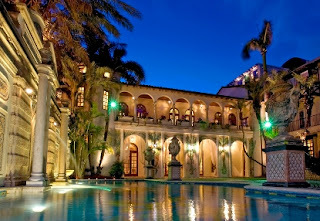 Marble Restoration: At the Versace Mansion! And what an honor that was! How many of us wish that we could live in a beautiful home, like that? With Classic Marble Restoration, you marble and stone floors can look just as beautiful! That exquisite domicile has the best and most luxurious of everything, you could ever imagine. It was built in 1930 by architect Alden Freemanbut. So, you can only guess how thrilled we were to redo and refurbish the tile, stone and surrounding areas of this magnificent home. And as you now know, the technicians at Classic Marble Restoration, were chosen because they are the “benchmark of marble and stone cleaning and restoration”. So, it stands to reason that we will produce the same impeccable results, in redoing and refurbishing, the home you now reside in. Because Our Standards & Work: Speak For Its Self. And we have earned that – by producing beautiful results! We will restore cracks and scratches – buff and polish – and restore your floors to their original shine. And this will all be done with the utmost of care. You may not live in a mansion but, you will get the same expert care that is normally reserved, for them. Call us or visit Classicmarblerestoration.com for more info. We will be happy to answer any questions & tell you best way to make your floors and tile, look – Like New!